February 19th was the tenth anniversary of Kosovo's independence proclamation. 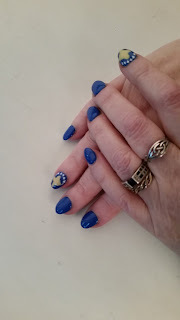 In honor of that, I got my nails done in the Kosovo flag. Thank you, Sevdije!